Travis Perkins’ consumer division saw like-for-like (LFL) sales slide 4.2% in Q3, as Wickes reported declines in both core DIY and kitchen and bathroom categories. 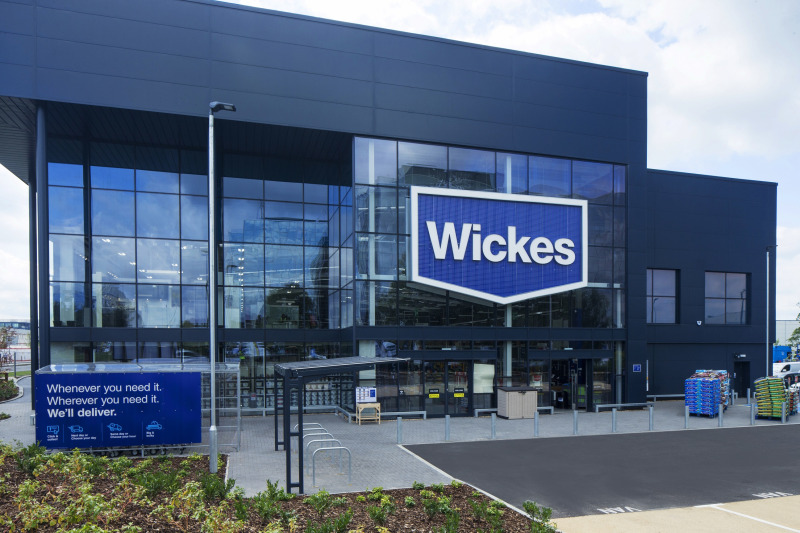 Announcing the results, Travis Perkins said “the market environment in UK DIY remains challenging”, resulting in continued volume declines in these key categories for Wickes. The group also said significant pricing competition across the sector had prevented the recovery of cost price inflation, although added that this pricing pressure had begun to ease in recent weeks, leading to “early signs of recovery” in kitchen and bathroom order activity. Total sales for the consumer division, which also includes Toolstation and Tile Giant, were down 1.8%, bolstered no doubt, by a robust performance from Toolstation, which reported strong like-for-like and total sales growth. This was underpinned by successful range extensions, which helped increase sales density said the company, as well as Toolstation’s continued expansion of its store network. Travis Perkins revealed the retail chain remains on track to open 40 stores this year. Travis Perkins said it remained cautious on the near-term market outlook, with lead indicators, such as secondary housing transactions, house prices and consumer confidence continuing to paint a mixed picture. Total Group sales grew by 3.9% in the third quarter, with LFL sales growth of 4.1%, in line with the first half of the year. The combined Merchanting businesses (General Merchanting, Plumbing & Heating and Contracts) achieved LFL growth of 7%. Meanwhile, LFL growth rate in General Merchanting softened modestly compared to the second quarter of 2018, as the business cycles strong comparative growth rates from Q3 2017. Cost reduction initiatives to streamline above-branch costs were completed by the end of September, with actions to reduce waste and improve efficiency within the business continuing throughout the remainder of the year. The Plumbing & Heating division maintained its positive sales growth momentum from the first half of 2018, continuing its outperformance of the market. Sales growth was strong across the division, including the wholesale business, branch network and specialist online channels, primarily driven by enhancements to customer propositions. The rate of growth in the division is expected to moderate through Q4, as the business annualises the strong performance improvement achieved in Q4 2017.